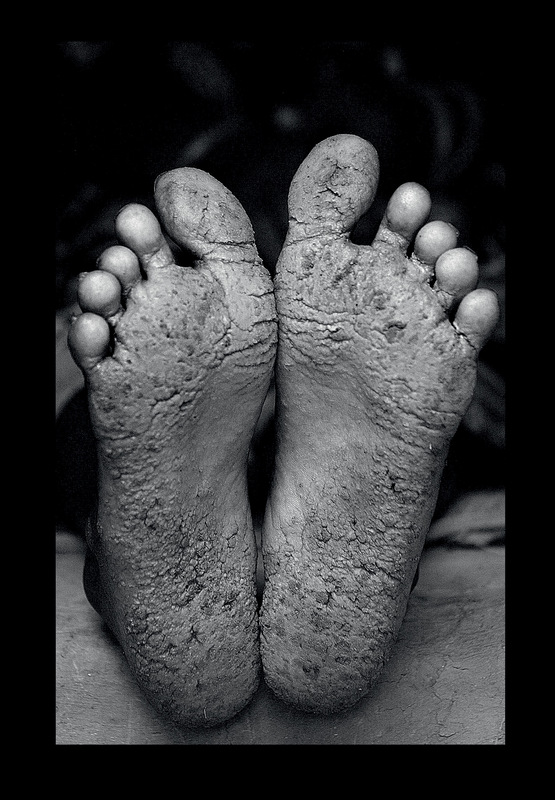 I took this photo of 25-year-old Rehana Khatoon’s feet in 2004. She told me that the wrinkling was caused by drinking arsenic-contaminated water and that her husband had left her because of her affliction. Arsenic is a naturally occurring element in groundwater, but when people are exposed to it by drinking contaminated water from tube wells, as Rehana was in her home state of West Bengal, India, serious health consequences can result, including diarrhoea, dysentery, typhoid, cholera, and hepatitis.